The problem within engineering is clear, the industry has an ever-ageing workforce which needs to be replaced and is currently offset by an acute shortage of skilled young engineers capable of filling the roles coming through. But with a shift in the way the sector works, now appears to be the perfect time for young people to plug the skills gap; with the sector currently undergoing a period of modernisation, with a much heavier emphasis being placed on automation and efficient working practices. But how can the UK address the current situation? In this article, we will discuss some of the reasons we need more skilled young people in the sector and what can be done to address the skills gap and ensure a potential workforce is engaged as early as possible. Why Does the UK Need More Young People Entering Engineering? It’s estimated that the UK engineering industry will need an extra 1.8 million fully trained workers by 2025, and little progress has been made in recent years to address this glaring need. More pressingly, a study from the Royal Academy of Engineering back in 2017 found there would be a need for new science, engineering and technology professionals by 2020 and it appears the target will be comfortably missed this time next year. The issue most engineering companies are finding at the moment is: a severe lack of skilled young workers applying for vacant roles. Whilst young people may be applying for these roles, the applicants simply don’t have the relevant skills or experience to succeed without significant and sustained levels of training. It’s fair to say that steps have been taken in recent years to try and address this obvious need, but more must be done if the industry is to come close to the estimated 1.8 million extra workers needed by 2025. Experts suggest that one of the underlying reasons for this shortage comes from the fact that young people are simply not encouraged to pursue a career in STEM (science, technology, engineering and mathematics) subjects early enough. The vast majority of young people won’t actually have any exposure to engineering and technology related subjects until they come close to finishing secondary school, and by the time they reach the age of 16, the desire to take up a career in this field has already passed. Encourage Training – Encouraging young people to take part in vital training needed within the engineering sector, such as health and safety courses during school or college, could help the next generation of engineers gain a solid footing in the industry. This approach would also be extremely beneficial for future employers as they could rest assured that the young people they will be employing have some formal training under their belt before starting an apprenticeship or full-time role. Educate Young People On 21st Century Engineering – There is also an argument that teachers, parents and employers must do more to showcase how a modern engineering workplace functions. The stigma surrounding engineering workplaces of the past is still prominent today and doesn’t accurately represent how the vast majority of engineering companies work today. The sector operates in a vastly different way than it did 10 years ago, with Industry 4.0 and automation becoming more prominent within engineering every year. 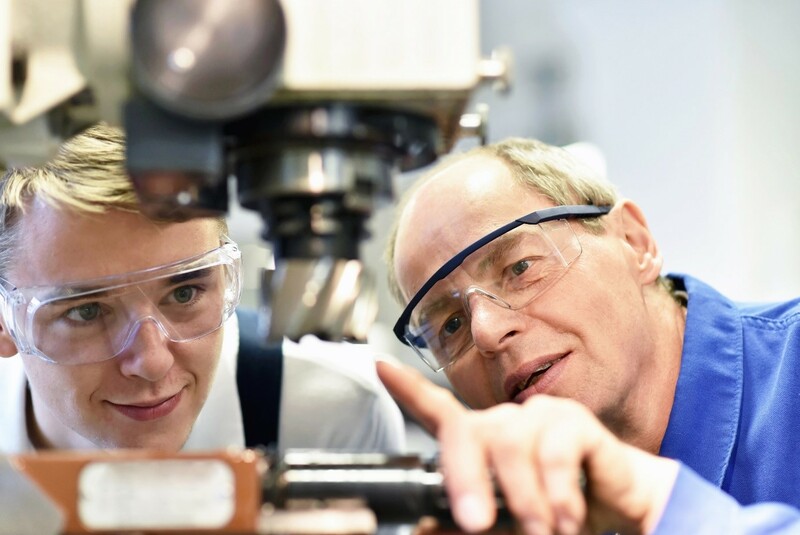 Introduce Apprenticeships from A Younger Age – Whilst it’s obviously important for children to gain a rounded education, introducing apprenticeships from an earlier age could be a potential fix for the shortage of suitable engineering candidates. 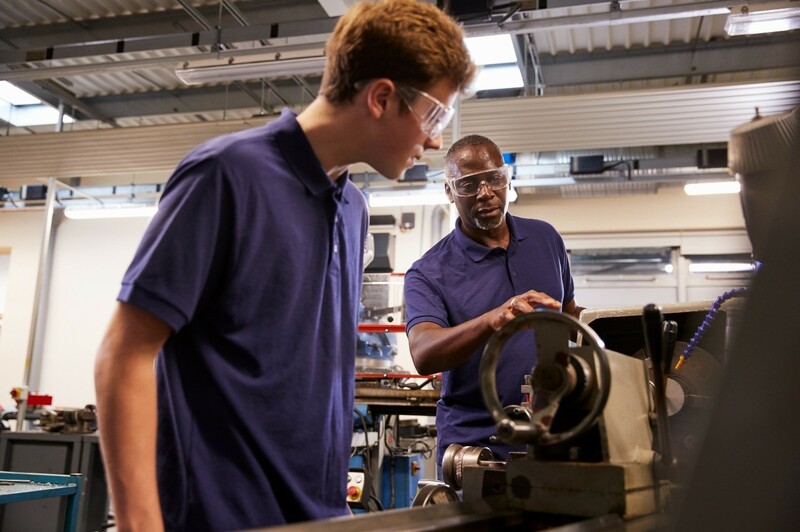 Something as simple as an apprenticeship starting at the age of 14, where young people spend two full days a week in an engineering setting for an extended period of time could help young people develop the skills needed to succeed within the industry. By the time they are 16, there is a good chance they would possess the skillset to comfortably take up a junior position within many engineering companies. Understand How to Get Young Women into Engineering – Recent research figures show that young women are often overlooked when it comes to addressing the engineering skills gap. In 2017, only 4% of the students enrolled on engineering apprenticeships were female, a statistic that highlights the need for a new approach when trying to encourage young women to sign up to apprenticeships within the sector. It’s worth noting that one of the main selling points engineering companies use to entice young people into a career within the sector is future salary expectations. This approach simply isn’t an effective tactic to engage young women, as research shows that only 30% of females are encouraged to get into engineering due to salary, whereas 88% saw the prospect of having an interesting job as the key reason for getting into the sector. There are plenty of exciting routes to encourage young people to get into the engineering industry that can be explored by companies within the engineering sector, as well as schools and colleges over the coming years. Though it’s fair to say that if more young people can’t be tempted into a career in engineering from an earlier age, the future of the industry will remain somewhat uncertain in the coming years. Thankfully, the sector still has time to address this before things do become genuinely unsustainable, it couldn’t be clearer that more still needs to be done in the immediate future.